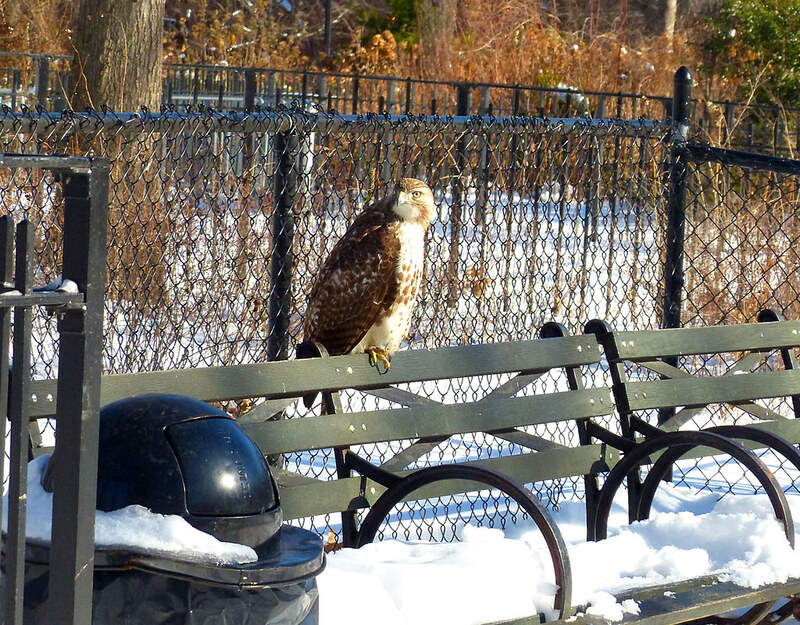 As the city dug out of an overnight snowstorm, the Tompkins Square hawks frolicked in the bright frigid sunshine. 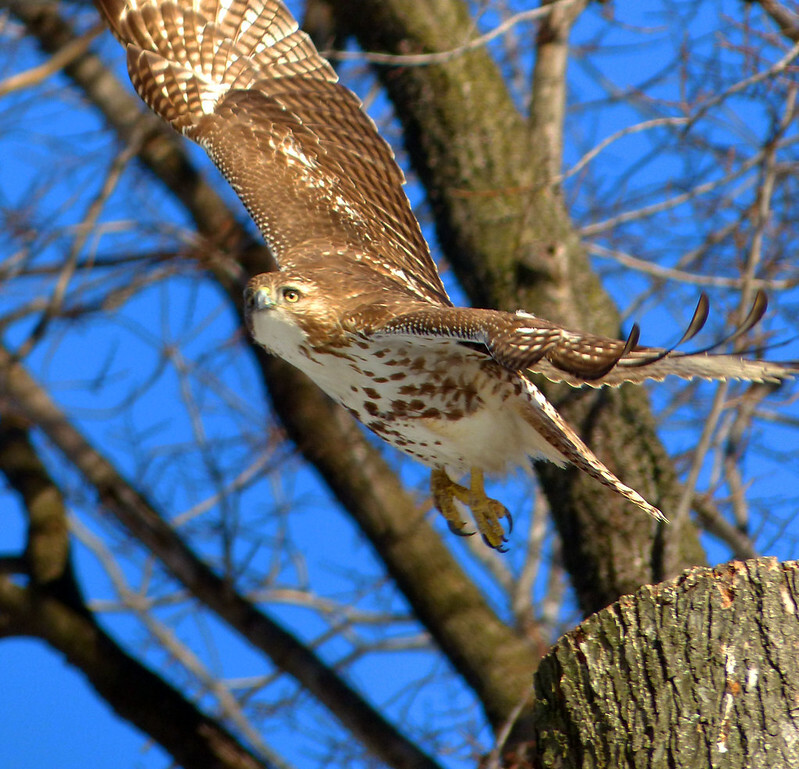 Two hawks, an adult and a juvenile, forced me to run around and keep up as they swooped from perch to perch. 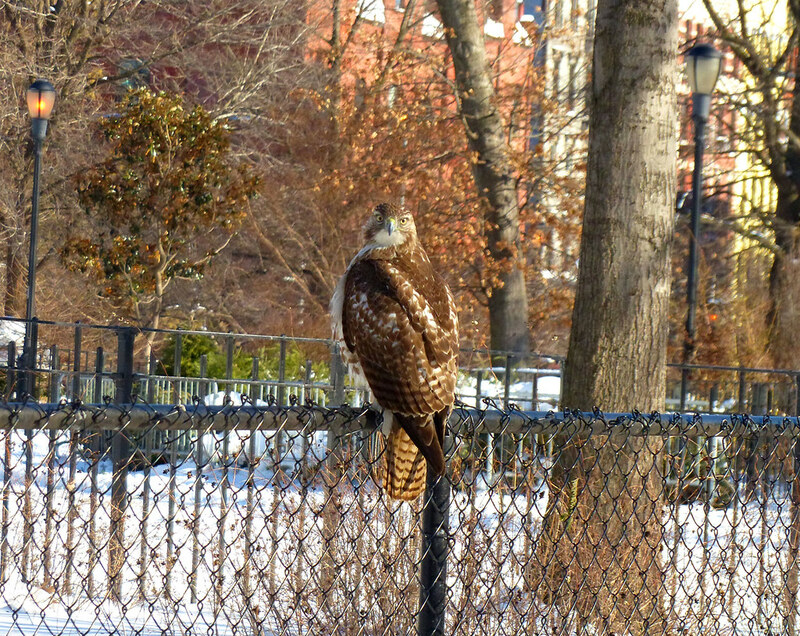 Here's the juvenile resting for about two seconds before resuming its flying rampage. 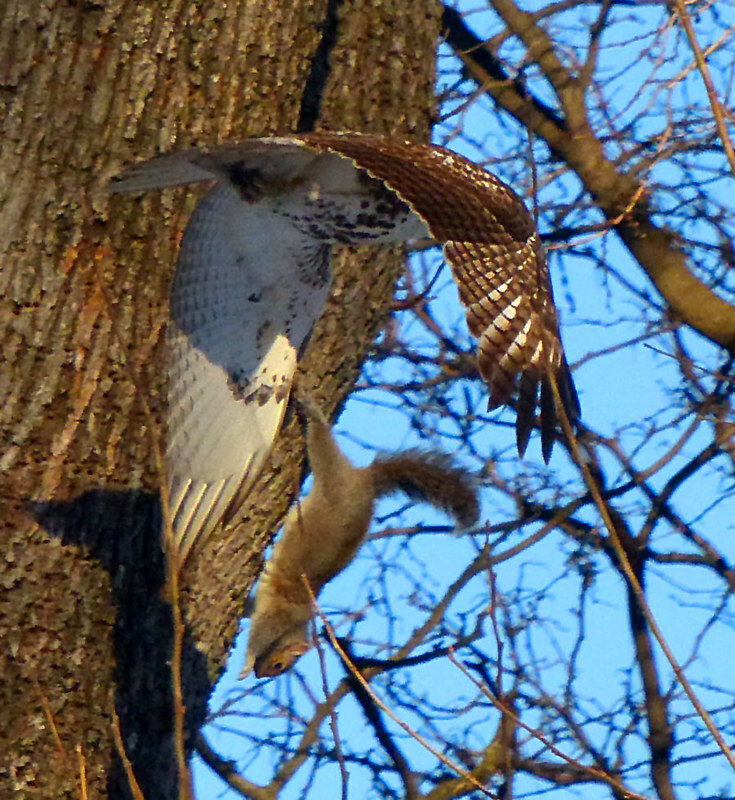 This squirrel didn't have any time to react before the hawk careened around the tree. 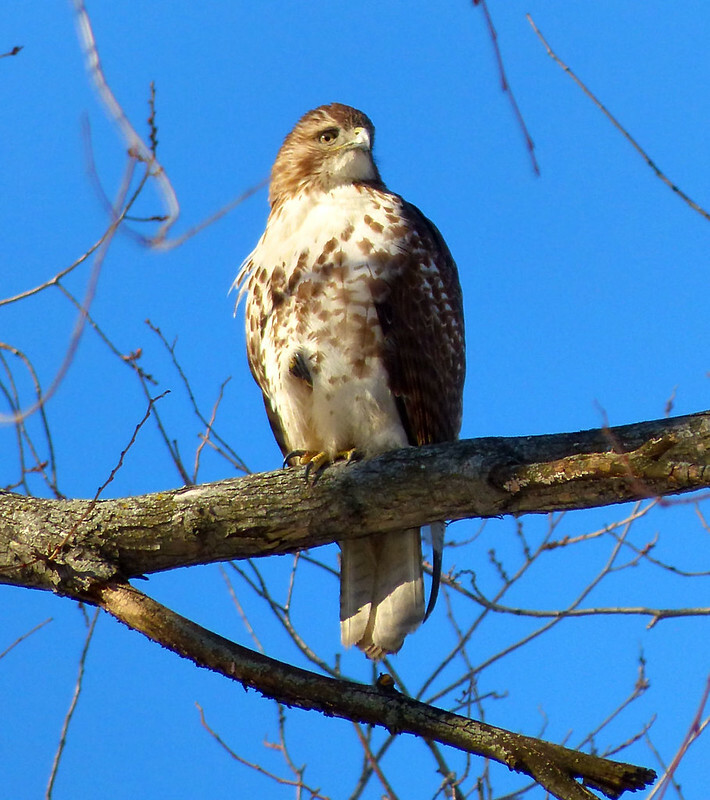 I'm tempted to say this is the same hawk I've been watching for several weeks - the one with the foot problem that then bashed into a bus stop - but at this point, I've pretty much lost track of who is who. 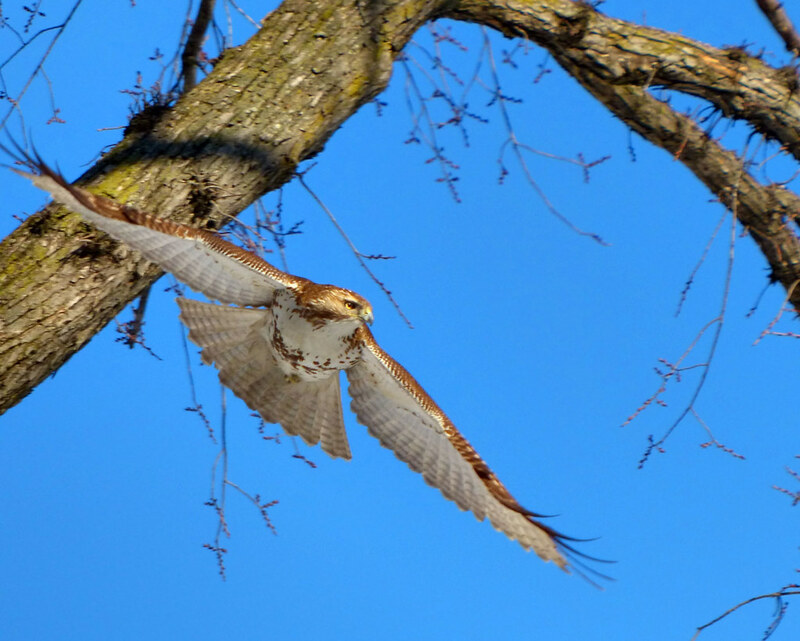 There are two juveniles I see almost daily and one has a sharp hooked beak while the other has a dull beak. This is Dull Beak holding its foot up. As the temperature hovered around 12 degrees in the sun, Dull Beak looked quite content in its puffy down coat. Did they swoop from perch to perch to stay warm???? Fantastic photos! How they stay warm is a mystery to me...they must hide electric wing warmers under those feathers. Imagine living outside 24/7 in this weather in bare feet!